NeoEevee here. 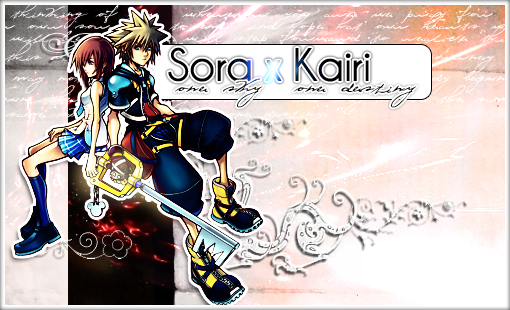 ^^ KH fangirl since 10/31/09, and SoKai fan since I got about fifteen minutes into the first game. What's up? Haha!! ;D <3 Welcome! I'm Zelos, I joined yesterday. ^^ Nice to meet you. Welcome NeoEevee~ Nice to have you on board. Have fun!